Your trading style isn't standard, so why should your trading platform be? We recognize that each individual investor has specific interests, and that a standardized trading platform just doesn’t cut it for everyone! That is why we offer multiple award winning trading platforms and capabilities to all of our clients. Trade on over 100 market centers/exchanges around the globe, in 20+ countries, 14+ languages and 20+ different currencies - all from one account! 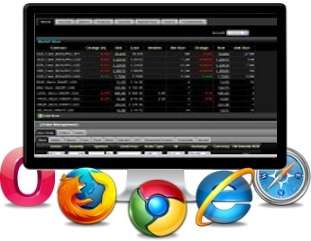 Whether you choose our clean and simple HTML based Place Trade WebTrader, our fully customizable market maker designed desktop trading with Trader Workstation (TWS), one of our mobile applications or our super simple Quick Trade application, you will have access to superior trading technology, over 60 different order types and algos along with the most advanced trading tools available. Simply smart trading, your way! Mobile Solutions for On the Go! 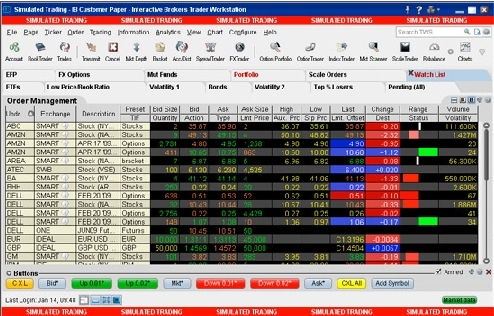 Both Trader Workstation(TWS) and WebTrader feature highly customizable layouts designed to streamline trading. 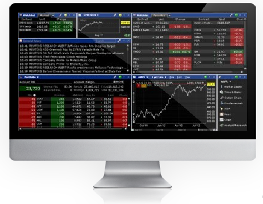 Make informed decisions with the aid of our sophisticated trading tools. Tutorials, webinars, podcasts, videos and extensive user’s guides are all available to help you make the most of our feature-rich platforms. Please do not use the "Open Account" links within the demos and tours! 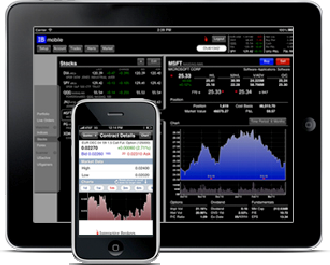 Log on to any of our advanced trading platforms at any time through your Place Trade account. You may log into the trading platforms through Account Management to view your account and enter orders however we would recommend logging into the trading platform if you are planning to be on line for more than a few minutes due to the fact that the Account Management system is set to log off rather quickly for security reasons and while it may appear that you can still place a trade from within the trading platform you will not actually be able to if you have been logged off or timed out on the Account Management side. Although we know that this is done completely for security reasons it can still be frustrating and you may believe that the platform is not working so to avoid potential stress please log into the trading platform when you want to trade. 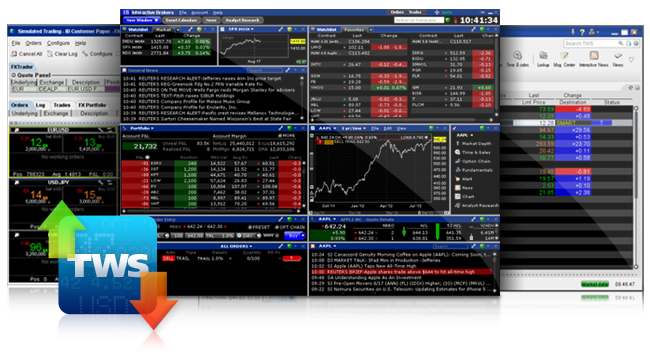 You can then access the Account Management system from within the trading platform without causing a log off or timeout issue with your trading platform. We still highly recommend that you guard your computer and account information at all times (and that you use our secure log in system as well as a security device) for your protection. When you get tired of being treated like a number, notice that you are receiving less than stellar fills on your "free" or cheap trades when you believe that you are getting the best execution, paying bloated commission and margin rates or you are simply tired of getting flash instead of substance - you will know that it is time to switch to Place Trade®. If you already have an account at Place Trade and wish to start saving even more by transferring an existing count from another firm to Place Trade you can click this link to learn everything that you ever wanted to know about transferring brokerage accounts to Place Trade. If you are opening a new account you may transfer an existing account to us from within the application process. 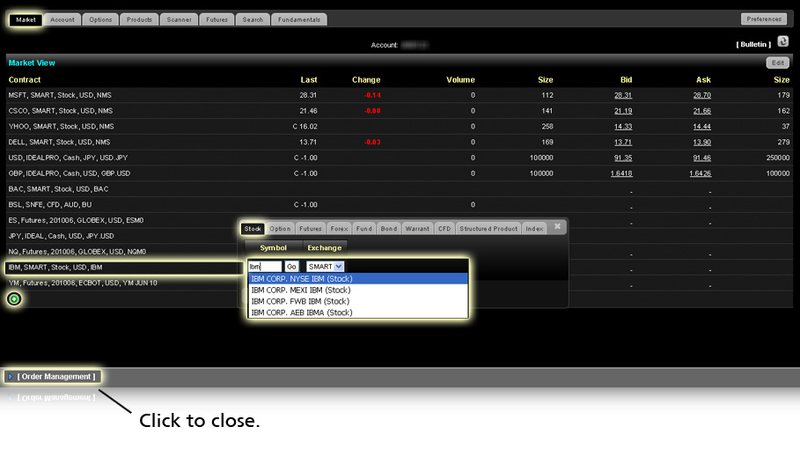 Look for the Fund Account section and click transfer an account. Feel free to call us if you would like our assistance.